Gently rolling sandhills taper off into the plains of Georgia. Farmers grow southern crops on fields as far as the eye can see. The appearance of gnarled live oaks falsely bestow a sense of geological antiquity upon the open fields of the agricultural landscape. Occasionally, a stand of tall pines pay homage to a vast forest all but lost to international demand as it fueled progress for a young nation. After hundreds of years of logging, only patches remain. This is the longleaf pine savanna, one of North America’s most diverse and endangered ecosystems (Lear, Carroll, Kapeluck, & Johnson, 2005). It is worthy of conservation efforts if only in remembrance of its instrumental role in US history, and preservation of the unique biodiversity found nowhere else on planet earth. 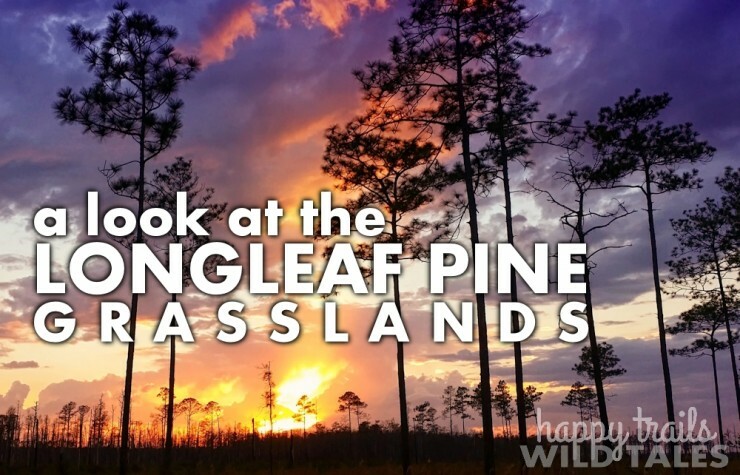 Longleaf pine savannas are distinguished by tall trees towering over diverse plant communities. The forests feature open canopies absent of midstory hardwoods, allowing sunlight to stimulate understory plant growth (Jenkins, 2008). Historically, the range of longleaf pine forest spans the sandy soils of southeastern coastal plains from Virginia to Texas. The low-elevation region is characterized by the long growing season of a humid, subtropical climate (Drummond, U.S. Geological Survey, n.d.). This historic range indicates one of the most expansive forest systems in North America. However, the fragmented forest retains less than 5% of its original size due to excessive logging, conversion of forest to farmland, and fire suppression. Longleaf pine savannas are fire-climax communities in which many species adapted to depend on low-intensity ground fires. It is the regular presence of fire that prevents ecological succession, maintaining the necessary conditions for an outstanding plant diversity to thrive. Fire is less likely to burn near regional wetlands. These areas transition the forest to marsh, blackwater swamp, cypress pond, and mixed hardwood river corridors (Way, 2006). The varied ecosystems boost biodiversity to levels similar to tropical rain forests (Longleaf Alliance, n.d.). The longleaf pine forest ecosystem supports 36 different types of mammals, nearly 200 bird species (Parks, 2013), as well as 170 kinds of reptiles and amphibians. In 2011, 29 of the unique species were listed as threatened or endangered by the US Fish and Wildlife Service (USDA, 2011). These include eastern indigo snakes, gopher tortoises, and red-cockaded woodpeckers. Nearly a thousand plant species are found in fire managed longleaf ecosystems (Parks, 2013), dominated by wiregrass and the towering pine. Longleaf pines are shade-intolerant evergreen conifers that lend a park-like appearance with wide spacing between the trees. They are characterized by thick, scaly bark and needle-like leaves growing up to 18 inches long (National Wildlife Federation, n.d.). The longleaf pine boasts the longest lifespan of any southern pine at around 300 years. Longleaf pines are one of the world’s most flame-resistant trees, with every stage of life revolving around the presence of fire. The tree undergoes a series of growth spurts concentrating on roots, height, followed by filling out. The tree’s uniqueness and instrumental values are unquestionably linked by its adaptations to fire. The highest oil production of any pine tree provides highly flammable leaf litter for an ecosystem that depends upon fire, as well as excellent raw material for many products, including naval stores. The lumber is also used for construction and manufacturing. According to an historic account published by American Lumberman, “pitch pine [longleaf pine] is the American wood most in demand abroad and has been one of the leaders in wood exports for 200 years” (“A famous American,” 1913). Although loggers often replaced longleaf with other pines after clearing, these poor substitutes fell short economically and ecologically. Loblolly and slash were common replacements. They do not withstand fires, produce comparable amounts of oils, nor meet the ecological needs of the fire-adapted community. The longleaf pine proved instrumental in US progress, as evidenced by its widespread depletion and the modern movement to restore it. America’s Longleaf Restoration Initiative formed in 2005 to focus on range-wide restoration. This is being accomplished with the establishment of new longleaf pine forests through planting, prescribed fire, mid-story harvests, and invasive species control (America’s Longleaf Restoration Initiative, 2014). Efforts to prevent extinction of the red-cockaded woodpecker also bolster interest in preserving the longleaf pine. The longleaf pine-grasslands retain very little of the land over which they reigned before European colonization of North America. Centuries of overexploitation have permanently altered most of the landscape, leaving only small patches of the forest scattered across the region. The remnants of this ecosystem continue supporting a mosaic of diversity invaluable to human civilization and the natural communities inhabiting it. Historical evidence, coupled with the modern rate of discovering new uses for plants, suggests that the biodiversity of the longleaf pine savanna remains one of the most valuable resources on the planet. As conservation efforts nurse the ecosystem back to health, one must wonder what lies ahead for the great longleaf pine forest that nourished this nation through its infancy. Hunter, M. L., & Gibbs, J. P. (1996). Species Diversity. In Fundamentals of conservation biology (p. 54). Cambridge, MA: Blackwell Science.